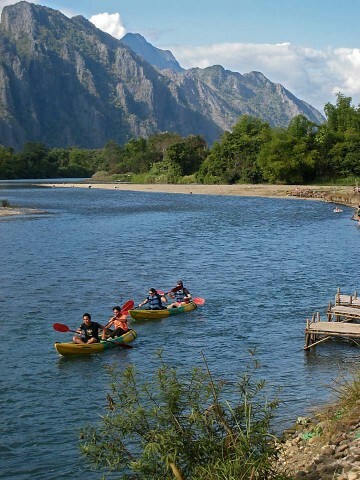 May 31, 2013 / montanaron / Comments Off on Return to Vang Vieng? 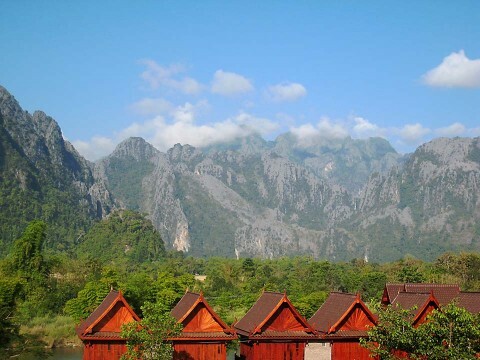 I really love the fantastic scenery of Vang Vieng, Laos. The last time I was there was in June of 2009, and, as I posted then, I was quite loathe to return, due to the extreme frat/high school drunk-party atmosphere of the town. The backpacker crowd had taken over, completely lacking any respect for the local culture, running around half naked, noisy, and totally out of control. 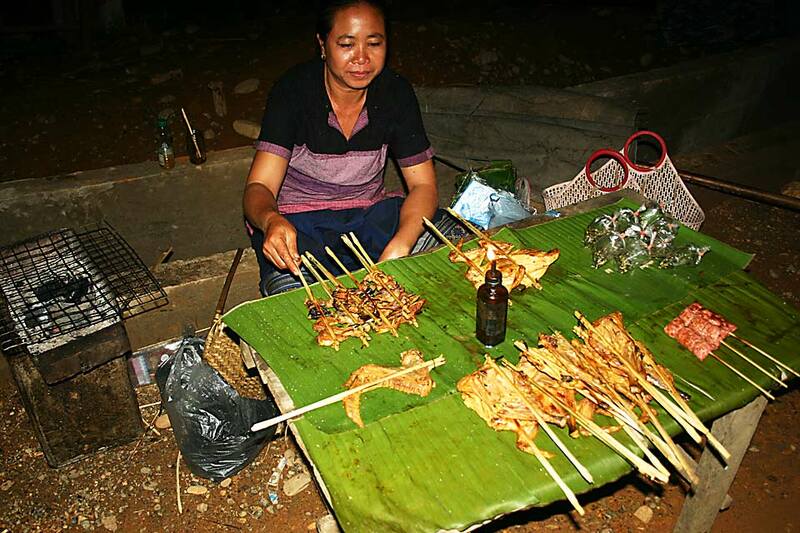 The laid-back vibe of Vang Vieng had disappeared, perhaps never to return. Vang Vieng is returning to its roots as a place where people came to chill out, have a couple of beers and take in the natural beauty of the surrounding area. 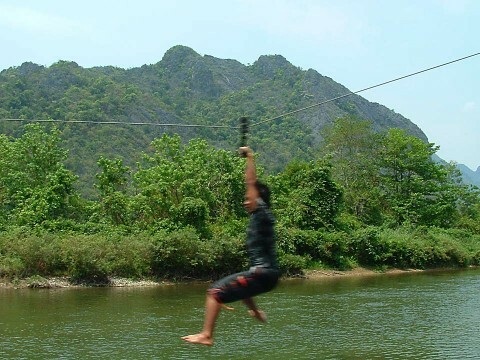 If you were tossing up over whether to come or not because of Vang Vieng’s reputation, don’t deliberate any longer. 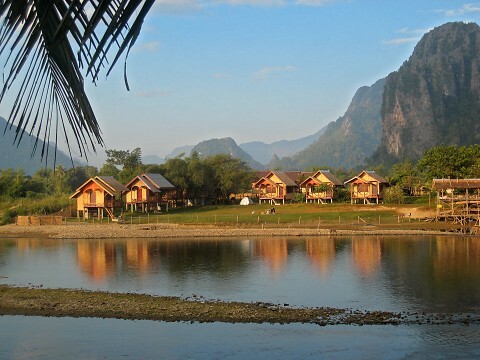 Vang Vieng is now back on the map as a top spot for those seeking to experience the natural beauty of Laos and interact with the local people. But for those seeking a serious party — the party is over. From my point of view, all I can say is Hallelujah! My Lao traveling companion and good friend, Nai, has been having some family troubles lately. We had been planning to go to Phuket, Thailand, but with the troubles, he may, perhaps, want to travel somewhere that’s closer to his family. If that’s the case, perhaps we’ll head north to Vang Vieng rather than to Phuket. 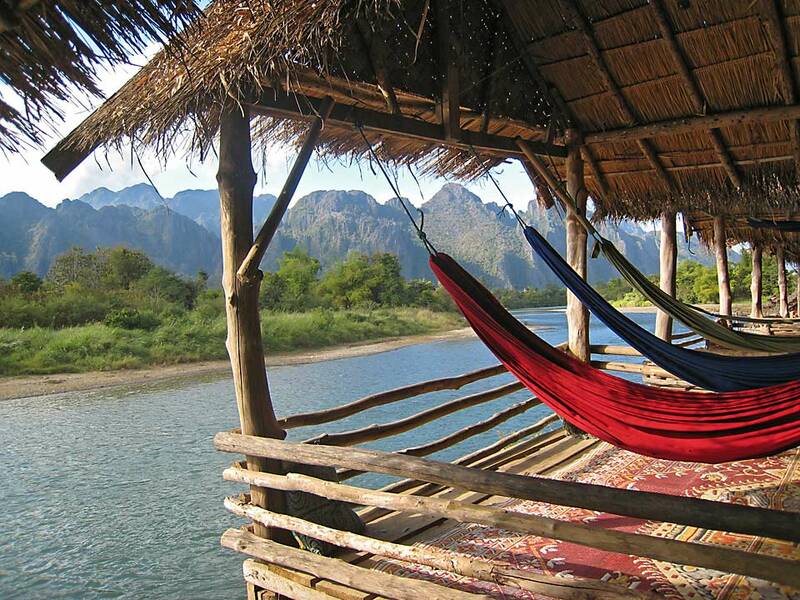 I don’t know yet if our plans will change, but I’d be quite happy to return to Vang Vieng. 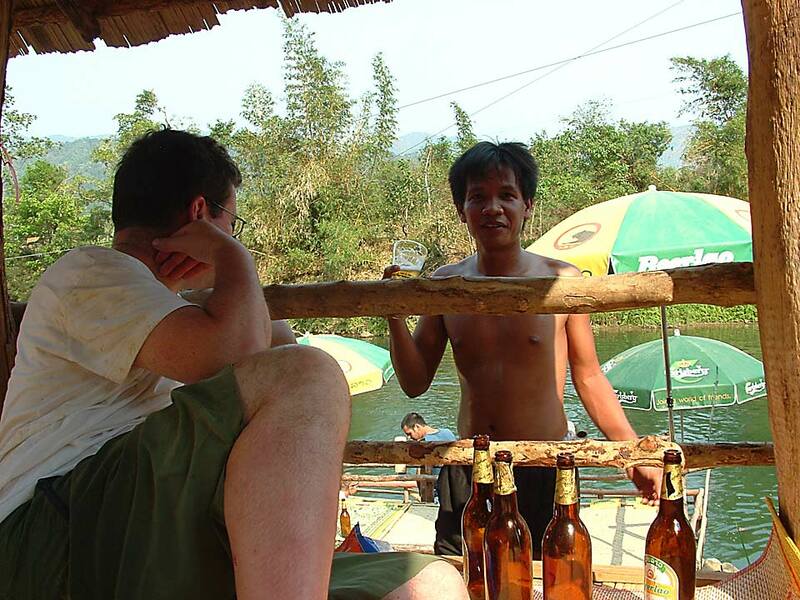 I’m enjoying a few days in Vang Vieng, a lovely, but usually tourist-packed town north of Vientiane. Being that it’s low season now, the number of visitors here is quite a few less than in December, the last time I was here. There hasn’t been any rain, but it’s been mostly cloudy and humid. 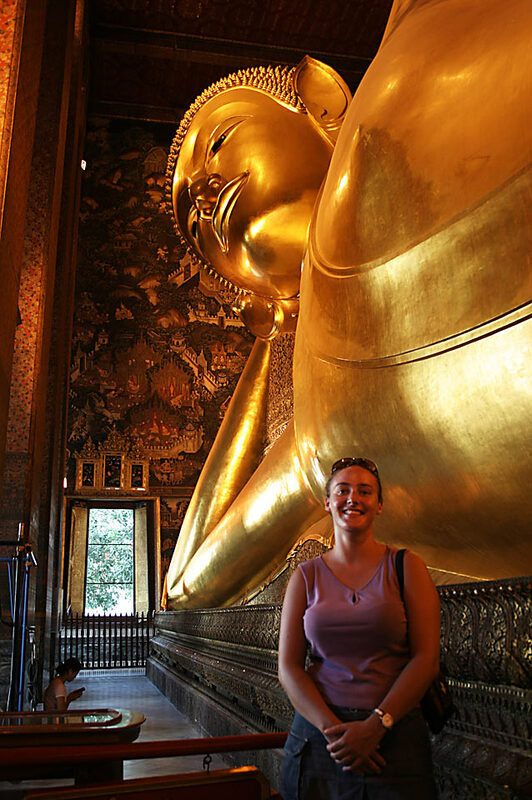 Nai and I might go tubing on the Nam Song tomorrow or perhaps take a hike up to the Buddha cave. There’s not really too much happening here, and I was planning on going to Bangkok near the end of the week. However, I read today that the trains have all been stopped due to a nationwide strike of railway workers, and it seems like it’s another nail in the coffin of the Thailand tourism sector. Visitor numbers are down drastically and the industry is begging the government to do something. Chief causes for the huge dropoff are the takeover of the airport last year by protestors and continuing political turmoil, high prices, bad economy, and the perception that tourists are being treated less than cordially by many Thais working in the service sector. So it goes. More later. 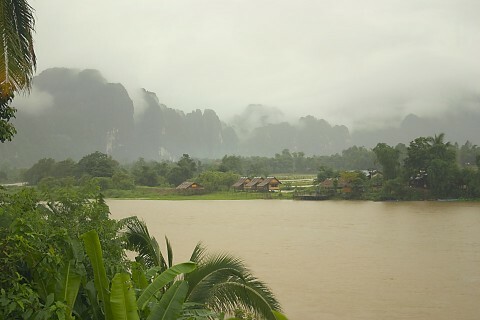 Laos is looking good, if wet. I’m now in Vang Vieng, my third time here and, despite the rainy afternoons, it’s been a very pleasant day–quiet, peaceful, relaxing. We sat along the banks of the Nam Song river this afternoon, watching tubers and kayakers floating through. Though the river is quite high, many people are making the enjoyable from the put-in point to Vang Vieng. I’m here with Nai and his sister Nui, and two of his friends, Suwon and Noh. 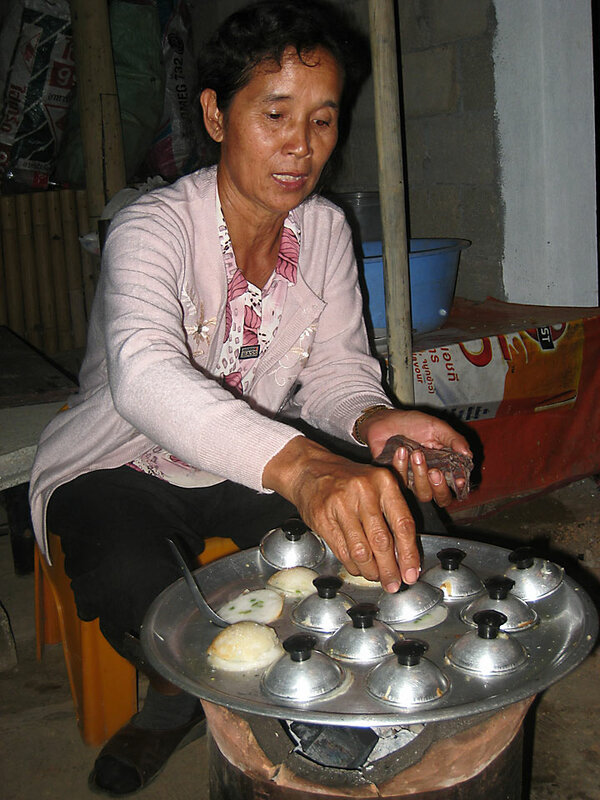 We’re heading back to Vientiane tomorrow, and afterwards, who knows where I’ll be? The trip to Singapore is still on and various locations in Thailand are still a go, including Bangkok, Phuket and another island, yet to be determined. 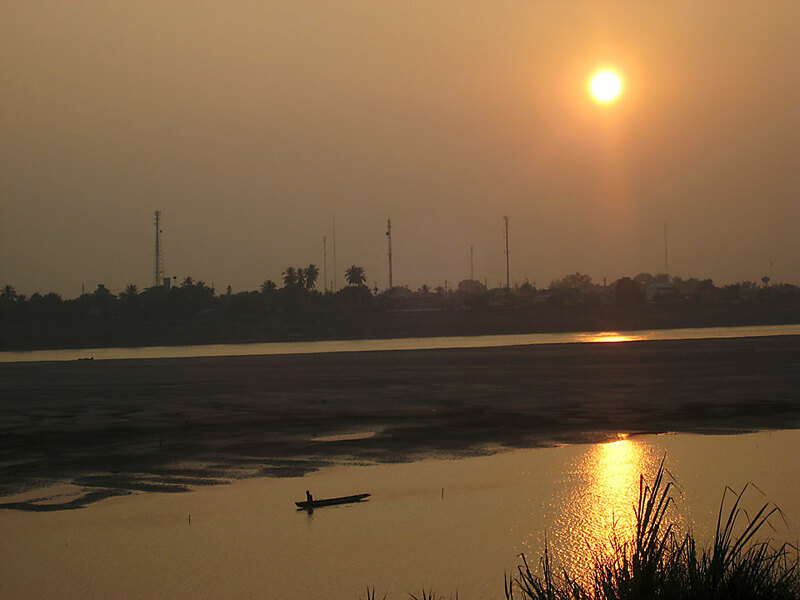 I’ll probably hang around Vientiane for another 10 days, before leaving for Thailand. As I stated, the afternoons are rainy, with heavy downpours about the same time every day, around 2 or 3 in the afternoon (though today was an exception). Along with the normally high humidity, it seems that nothing ever really dries out. When the sun is out, in the morning, that is the time to dehumidify, so to speak. Still, it is not overly hot and not as unpleasant as it might sound. No photos this time around, but I hope to post some more as I go along. Keep tuned. More later. 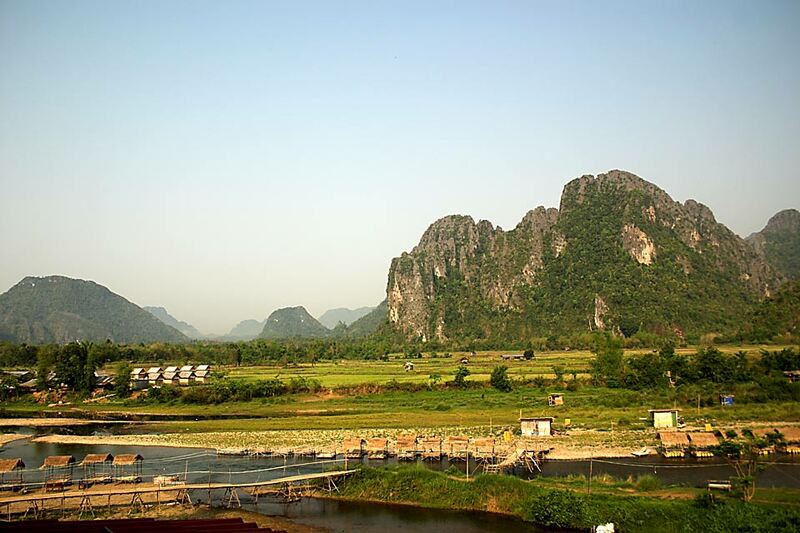 We decided to stay in Vang Vieng an extra day, since the weather is now beautiful, but also because we had planned to take the bus back to Vientiane and fly from there to Luang Prabang. 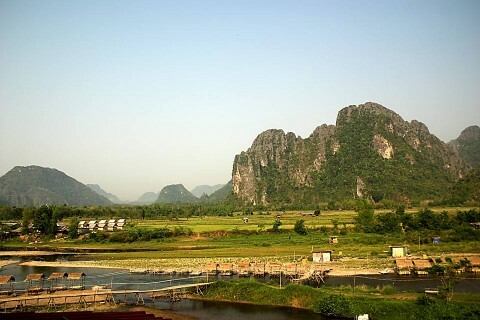 However, I think it’s a bit expensive, so we’ll take the bus to LP from here and fly from there to Xing Khuan Province (spelling is probably way off) and the Plain of Jars. We did an inner-tube float trip down the Nam Song river yesterday and I managed to avoid being sunburned. It took nearly 6 hours, but only because we stopped at every little (and big) bar along the way, where you can take a break for a beer or soda, play volleyball or kickball, swing from ropes, a la Tarzan, into the river and just generally lay back in the shade for a while and watch all the tubers and kayakers float past. We also met up with Guy, one of Nai’s friends from Vientiane, who joined us on the float. It was a pretty lazy day . 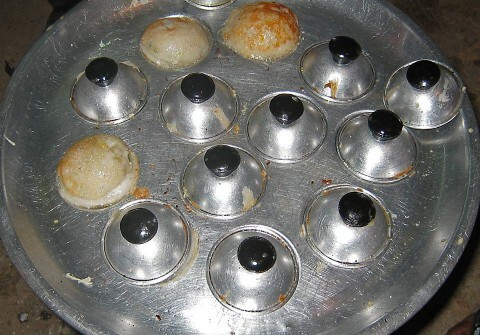 . . lots of fun. More later. Nai greeted me at the train station and we had a happy reunion. 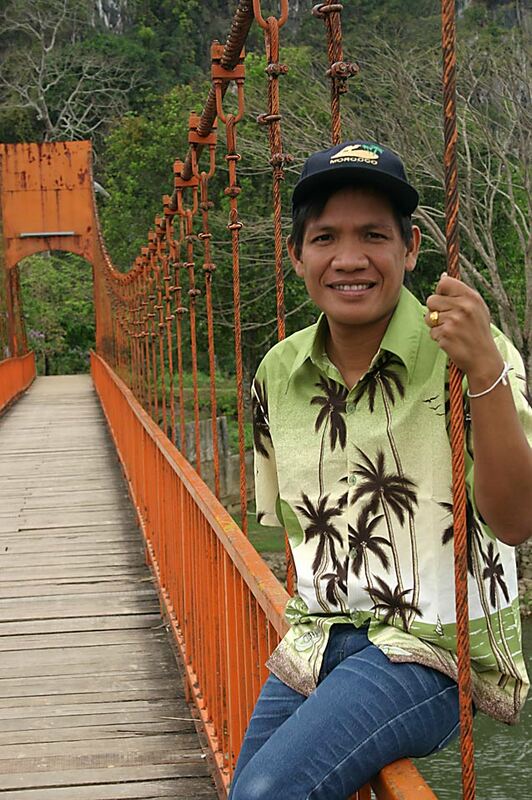 He’s really a great guy, humorous, fun and playful, like most Laotian people. We stayed at his family’s home for a few days, went into Vientiane for a couple more and finally caught the bus to Vang Vieng today. 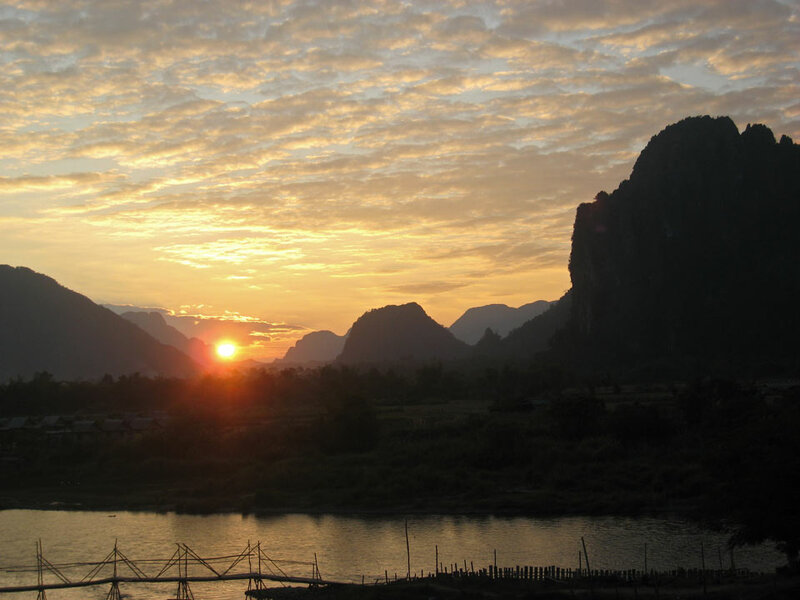 Up until now, the days have been very sunny and hot, but, wouldn’t you know it, Vang Vieng has been getting clouds and rain, just like the last time I was here. It looks like it’s beginning to clear up, and if we have good weather tomorrow, we’ll probably do some river floating on inner tubes. Vang Vieng is also experiencing a BIG boom. Construction is going on everywhere you look, with new guesthouses and restaurants in the making. It looks like tourism is finally expanding in Laos, though I doubt it will ever reach the numbers that visit Thailand. Still, I hope it proves to be beneficial to the Lao people. More later.